Home » Insurance » Auto Insurance » What is a CLUE Report? When you are getting quotes for car insurance or homeowners insurance, a critical set of information that is used to determine your policy coverage cost is a CLUE Report. Not sure what a CLUE Report is? Get educated. Errors on your CLUE Report can dramatically increase your cost of homeowners insurance and car insurance, or even cause you to be denied coverage. Want to keep your insurance costs down for automobile and homeowners insurance? You need to make sure your CLUE Report is clear of errors. First, you need to understand what a CLUE Report is and what information it holds. CLUE stands for Comprehensive Loss Underwriting Exchange. It is a database of claims information on you. When you get a quote for car insurance or home insurance, the insurer looks at your information in the database to determine your insurance risk. A good report means you would get the best insurance rates while a bad report could lead to higher rates or denial of coverage. What Information is on My CLUE Report? For example, if you owned a 2003 Honda Civic and had a single car accident in 2007 that caused $2,000 worth of damage to the front end of the vehicle that information would be in your CLUE report along with your insurance company information. How Long is Data Kept on a CLUE Report? As with most financial, insurance, and legal documents your insurance claim information is kept on your CLUE report for 7 years. It is similar to your credit report where information stays on file for that period of time. Just like you should keep tabs on your credit reports for each of the three credit reporting bureaus and check for errors, the same should be done with your CLUE report. You may think you have a sparkling insurance claim history, but all it takes is some incorrect information being reported to the report to impact your insurance premium costs. A wrong input as to who was at fault in an accident could raise your premiums significantly. 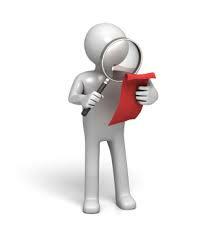 Checking your CLUE Report for errors is simple. The CLUE Report database is maintained by a company called LexisNexis. Just like checking your credit report by going to AnnualCreditReport.com, you can check your CLUE Report by going to the Personal Reports section of the LexisNexis website. You can access one CLUE Report per year, just like you can access one credit report from each of the three credit bureaus per year. Since LexisNexis is the only company maintaining a CLUE database you can only get one report per year.